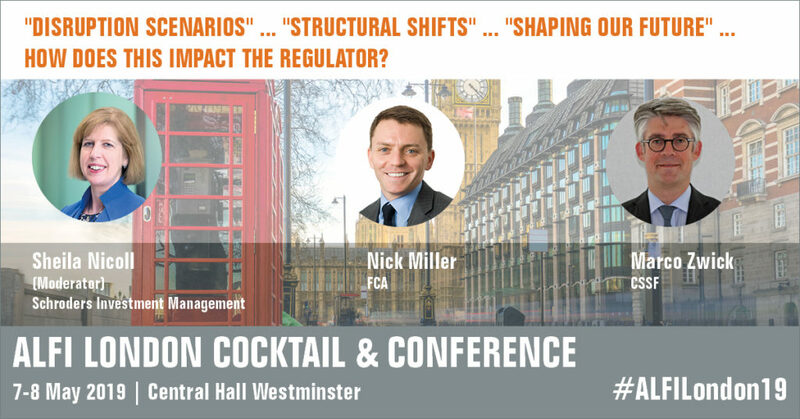 “Disruption scenarios” … “structural shifts” … “shaping our future” … How does this impact the regulator? The London Cocktail & Conference is ALFI’s major event outside Luxembourg reflecting the strong working relationship between the two financial centres. The conference has become a standing annual item in the UK investment industry’s agenda. As the industry faces disruption and transformation, what are regulators seeing? How are they evolving in the light of such change? Are they experiencing the same disruption? 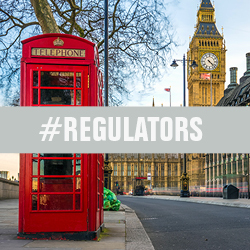 Will technological advances lead to a next generation regulator? What industry landscape are regulators planning and preparing for over the next five years? Nick Miller, FCA, and Marco Zwick, CSSF, will respond to questions from Sheila Nicoll, Schroders Investment Management, on 8 May 2019 at 11.55 am.